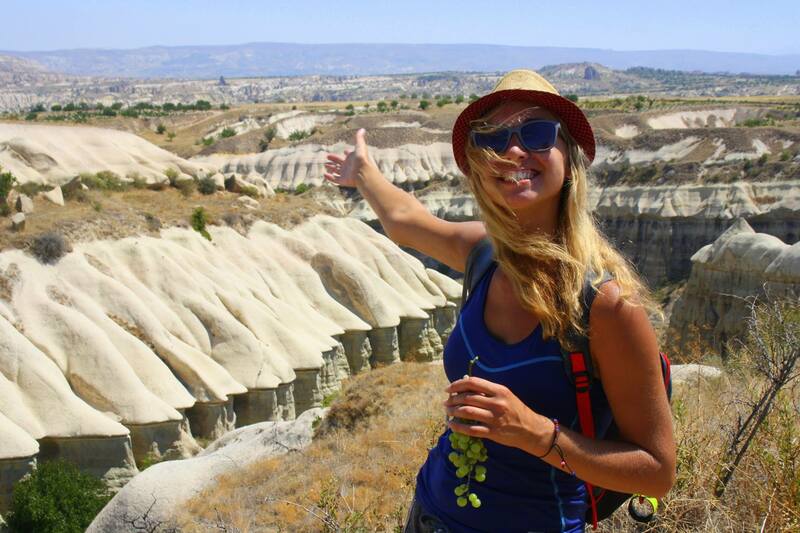 Travel with me #107 : Selime Monastery, Goreme horse ranches and Viewpoint restaurant! As you'll discover with me today, this land's cave dwellings were shaped by ancient settlers. Welcome back friends, to my discovery of the Central Anatolian Region of Turkey. 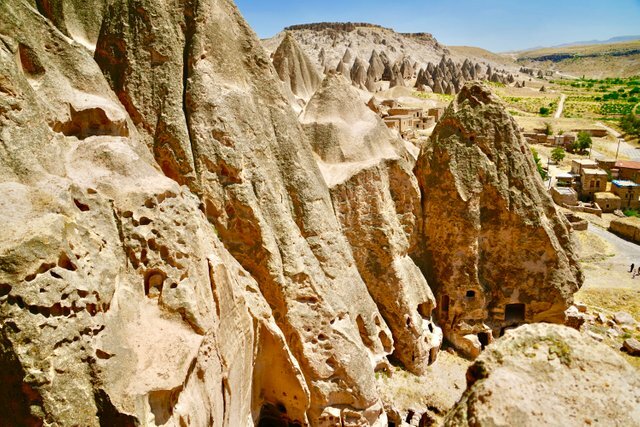 The area I am exploring with you is located in Cappadocia, with it's fairy Chimneys, ancient cave dwellings and charming local people. As you'll discover with me today, this land's cave dwellings were shaped by early Christian settlers who were fleeing persecution. 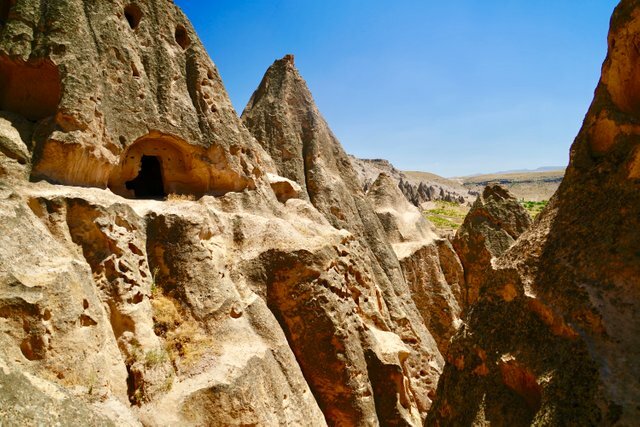 The cave dwellings of Cappadocia have also been home to a wide range of different peoples. Hittite, Assyrian, Persian, Roman, Byzantine, Danişment, Seljuk and Ottoman civilizations have all inhabited the region during different periods of history. As you move around the region, it's not difficult to understand why. The landscape is other-worldly, beautiful and surprisingly fertile for the right crops and grazing animals. It was also prized for its defensibility against attack which is why so many different peoples chose to make this their home over the centuries. The Selime monastery was first built between the 8th and 9th century though the region has seen habitation for thousands of years. There is evidence of the Hittite people from as early as 1800 BC with their empire reaching its height around the mid 14th century BC. Since the collapse of the Hittite civilization, the region has seen host to Assyrian, Persian, Roman, Byzantine, Danişment, Seljuk and Ottoman peoples. The Selime monastery is the largest example of a religious building in the Cappadocia region with a church the size of a cathedral. The monastic complex is huge and includes quarters for monks, large kitchens and stables. 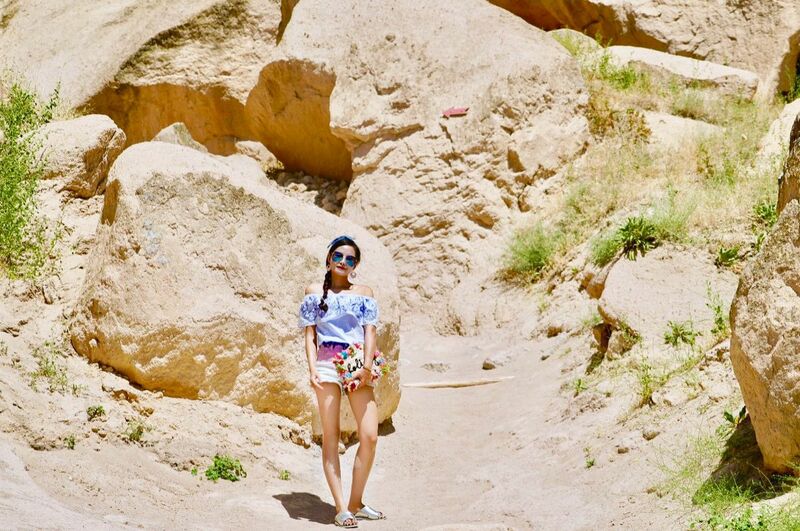 To get to the monastery, you have to climb a steep, rocky pathway. Apparently, camel caravans used to stop over at Selime, and would be stabled inside the monastery itself. I hope camels are better at rock climbing than I am because, though not long, the path was very difficult to walk up. Once I got up, the view from the top was worth it! As you can see, amongst all of the rocky landscape, there's a lot of fertile land. The green of the plants really contrasts with the yellows and oranges of the rock. Every fairy chimney and rock formation that that you can see in this area has been adapted in some way by humans. The natural rock formations have been hollowed out for different living areas. You can see the doors and windows just appearing in the side of the rock faces. 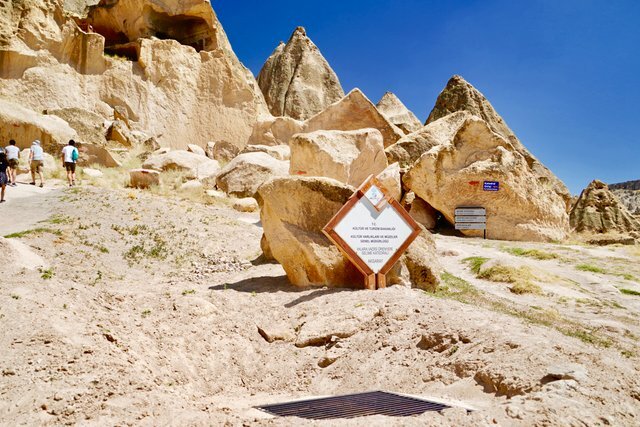 The Cappadocia region of Turkey is subject to extreme changes in weather. In the summer you'll experience temperatures as high as 40 degree centigrade, but in winter the area is covered in a thick layer of snow. That makes it very difficult to make housing that can deal with these two extremes. Cleverly, the local people realised that caves are the perfect for surviving this changing landscape. The traditional non-cave architecture of the region has flat roofs, which is a problem when there is snow because the weight of the snow can cause the roof to collapse. With more modern building methods, this isn't so much of a problem, but to ancient people, it made most non-cave structures impractical. The caves also have an amazing property because they stay a similar temperature inside all year around. That means when it's freezing outside, it will feel warm inside the caves and when it's hot outside, it will feel warm inside the caves. I really got the sense of surviving and thriving from the area. The local peoples used the resources that they had available to them to help them live. Every natural resource was used to help them survive, but they still lived in harmony with their landscape by using it to help them rather than destroying it for their own purposes. Some of the cave entrances were very large. The Selime monastery used to have a bazaar here where camel caravans would stop to sell their goods on the way to other towns in the area. For protection, the camels used to be brought inside the cave complex so they would not be stolen or have to endure bad weather. So the entrances had to be big enough for camels! I was told that camels were one of the most valuable resources to a caravan trader because without them they could not trade their goods or carry their food and water. Losing a camel could ruin a caravan's business so they looked after them as well as they looked after themselves so they always brought them inside when they could to keep them safe. It was fascinating to imagine camels once walking around these ancient tunnels! 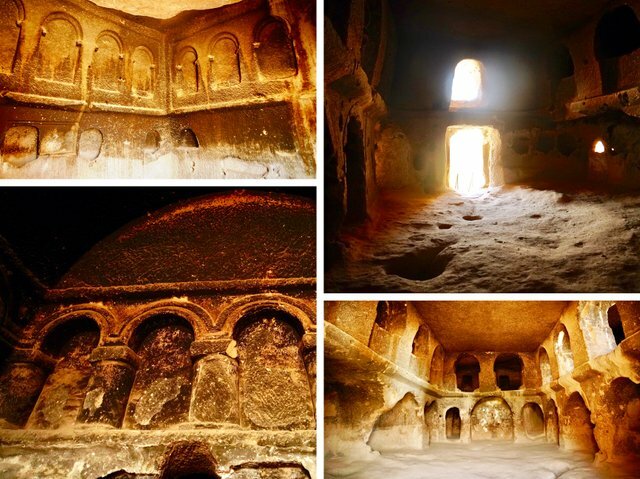 This being the largest religious cave structure in the Central Anatolian Region means that it is also ornately carved and decorated. In many of the cave dwellings that I visited, the cave doors would just open up straight out of the rock. In Selime many of the doors had also had archways carved for their entrances to make them look more impressive. 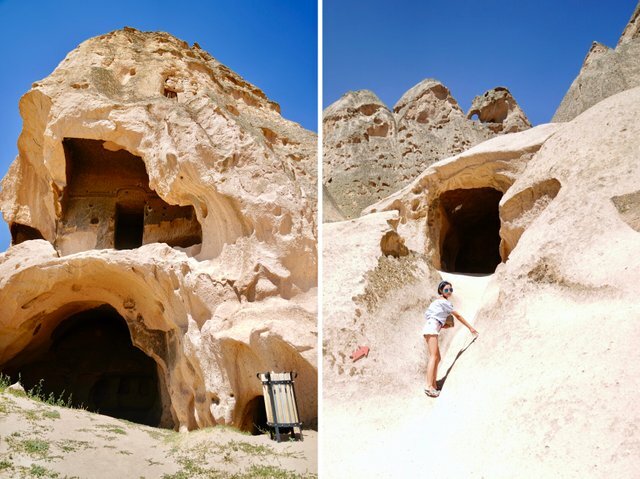 The structure of the Selime monastery is well maintained compared to some of the other caves that I visited. It meant that I could climb up inside some of the amazing tunnels inside the rocks which afforded stunning views of the local area. The monastery complex didn't just serve as a place of worship. It also hosted a military presence which shows that this region was not always the peaceful land that it is today. Looking out over the beautiful fairy chimneys, it was difficult to think that once this area would have been a stronghold for people against religious persecution. Perhaps this view point was once used as a look out place for the people defending this monastery. Once I moved inside, the true wonder of Selime is displayed for all to see. Many of the ceilings were carved and vaulted in peaks and domes. Like many of the places I visited around Cappadocia they had also carved shelves in to the rock walls for storage in their communal areas. There were so many rooms, I just felt like I would get lost in the maze of tunnels and archways. 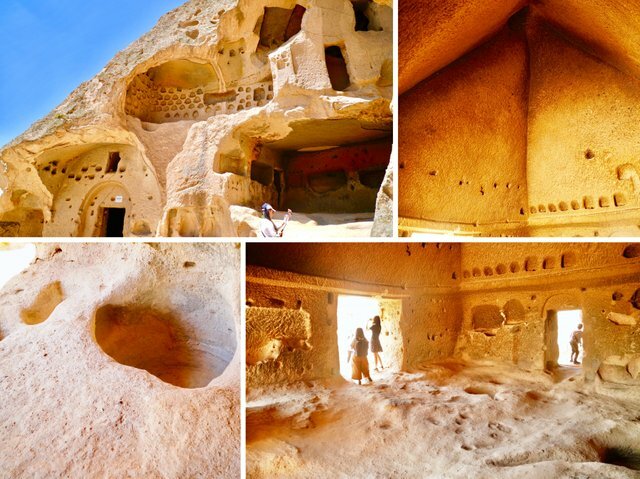 It is amazing to think that all of these rooms were carved by hand. Though the rock formations would have had some small natural caves, most of the cave systems are hand cut by man using basic tools to shape their homes and churches. Can you see the little holes carved high up in the rock? These were carved as little homes for pigeons. I learned that the pigeon is very important to the region because they were used for sending messages from place to place. Pigeons have an ability to track certain locations. You would house your pigeon at one place for a long time, and it would learn the magnetic location of that place. Then when you travelled somewhere else, you could take your pigeon with you and if you wanted to send a note home, you could attach your note to the pigeon and it would be able to navigate its way back to its original home location, like a little pigeon satnav! I wonder if I could have a few pigeons to keep in touch with my friends? I'm not sure I could have enough pigeons to keep in touch with all of you! The pigeon egg shells were also ground up to be used to make plaster and their egg whites were used to make a glaze to help protect the wall paintings that were painted onto the walls of the caves. Who knew pigeons were so useful? And that explains the hundreds of holes carved up high in to the rock - they were homes for all of them to live in! To get to this door you'd have to walk on that tiny ledge! After much wandering through the winding tunnels I found the main church. I cannot believe that this was carved from the rock by hand. The arches were beautifully shaped and the ceiling was so high. It had everything a modern church would have, with space to sit, an alter at the front and big domed ceilings, except this was build right inside a fairy chimney! You can see just how huge these structures are. I know I'm small but these made me feel really tiny! I tried to touch the top of the doors, but even when jumping I always missed the top because they were so big. I just couldn't believe the detail that I was discovering. 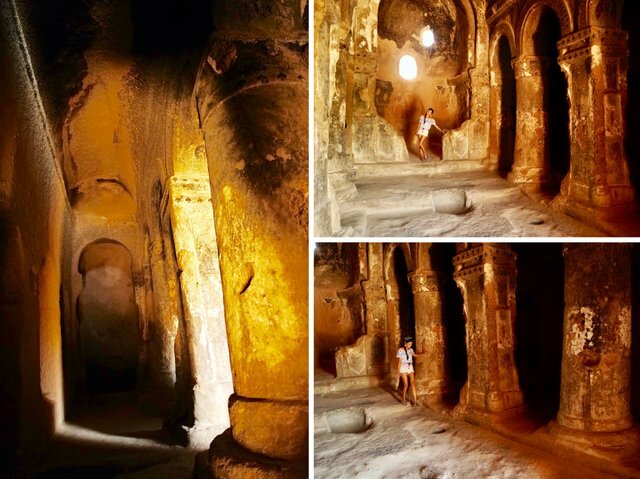 Built over 1200 years ago, the structure of the church caves is remarkably well preserved. I suppose when you build things out of solid rock, they are built to last! Unlike many areas that I visited in the Central Anatolian Region these rooms were carved with decorative pillared doorways, supporting pillars and archways. I was told that they were not needed to make the building strong - they were already strong because they are built of solid rock. All of the arches were put in just for their beauty, and beautiful they really are. I had to take some close ups of the carvings above the door way to the church. It must have taken thousands of hours just to hollow out the room, but to then carve such detail is amazing. I wonder how many people it took to make this room like it is... I am so happy that it is still around for me to see these thousands of years later. 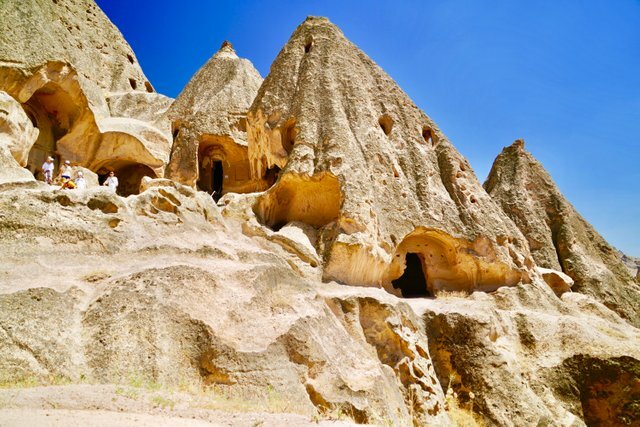 Goreme town is the base that most people use to explore the beautiful landscape and fairy chimneys that the region has to offer. 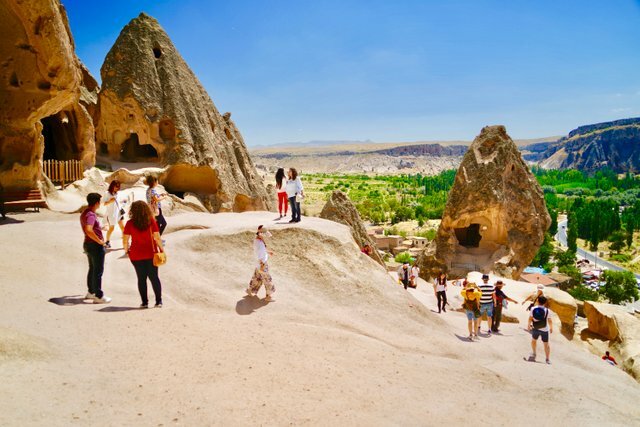 The local population of Goreme is around two thousand people but that number swells during the tourist seasons as the town offers a wide range of accommodation and restaurants that cater to the growing tourism industry. While discovering a little more of the town in the afternoon after my visit to Selime, I stumbled across this ornately decorated carriage just sitting by the side of the road. I thought that a carriage ride would be a lovely way to see the town, but I wasn't sure if that's what the driver was offering. He seemed to just be sitting around! 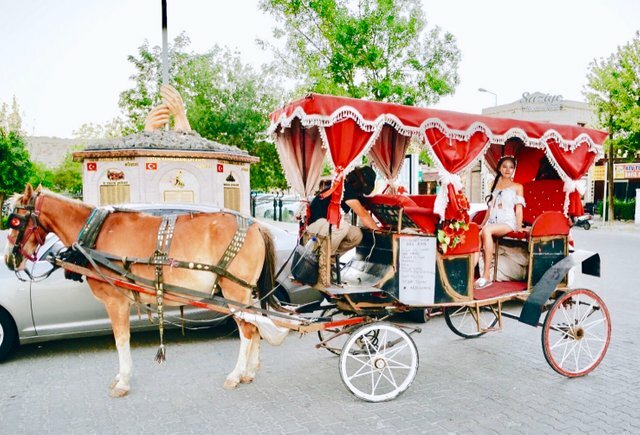 I just had to see if I could get a ride around town so in a moment of boldness I approached the driver to ask him about his horse and carriage. It turned out that he did in fact give a short ride around the ancient town as a little tour. I think he was new to doing this because he seemed a bit nervous with his horse on the roads or maybe he was being extra careful because he wanted to make sure I felt secure on my ride. 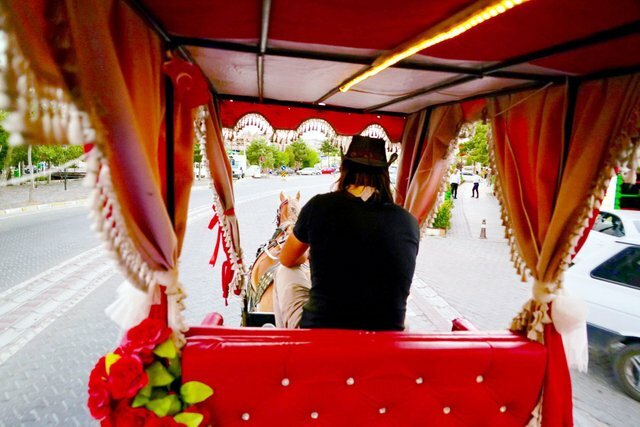 This turned out to be a great way to see the local town of Goreme, and it felt very authentic to be riding a long with a horse whose ancestors have probably transported people around these lands for hundreds of years. I didn't know any good Turkish names so I just called my new horse companion Bill. My guide was absolutely lovely and was very friendly. He helped me feel completely relaxed, even though he was a bit nervous, and he told me all about his ranch on the outskirts of town. Me, always wanting an adventure, asked if he could take me on a visit to see his ranch. To my delight he agreed and he seemed happy that he would be able to show off where he looked after his horses. When we arrived at the ranch after a short ride, I was surprised by how many horses he had! They were all so friendly and though I felt a little scared at first, I felt like they knew this and were extra gentle with me. Soon they were letting me stroke their soft noses and they all wanted to hug up against me. It felt like the horses here wanted to welcome me to Goreme and their home! As you can see, even here there were more examples of cave dwellings. I imagined to myself that each of these handsome guys had their own little cave dwelling there they'd go to sleep at night, taking advantage of the ancient caves for their shelter. Perhaps they were living in the same cave stables that their great great great grandfathers also stabled in. Horses are essential to the region and were the main mode of transport around the fairy tale landscape for thousands of years. The Central Anatolian Region is very large and the terrain is rough, so horses were important for getting around between cave settlements. I learned that this breed of horse was prized for being strong and hardy, but also being small and nimble. They are great at picking paths through the rough rock formations and keeping their riders safe by being extremely sure-footed. In times gone by, these horses would have helped connect the peoples of the area in trade and friendship. They were certainly very friendly to me! I even got to feed them. I finally had to leave my new horse-friends as it was nearly their bed time. 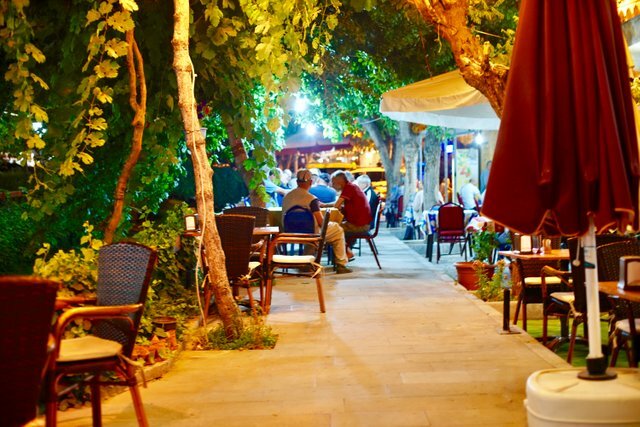 I wanted to experience more of Goreme so I chose to eat dinner at Viewpoint Cafe and Restaurant whose terrace restaurant boasts 360 degree views of the town. Goreme is beautiful in the day but it comes alive at night with lights of every different colour lighting up the buildings and fairy spires all around the town. Viewpoint really was a viewpoint and had some of the best views of the town that I had yet experienced. I found it difficult to even order my food from the menu because I couldn't stop staring out from the terrace. 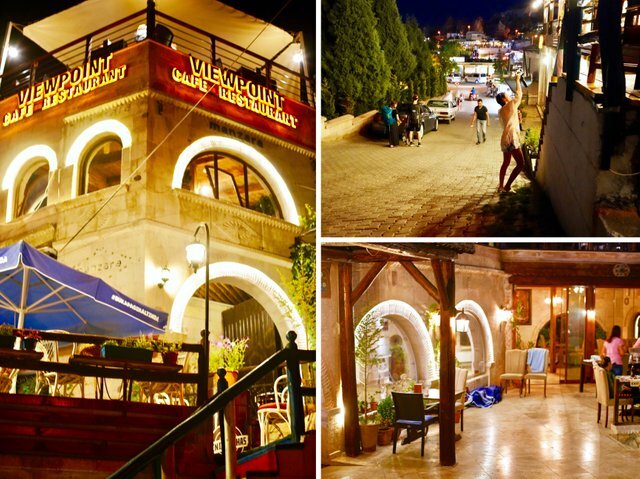 Viewpoint Cafe and Restaurant is located in the centre of Goreme and has a small, intimate atmosphere. Their menu consists of a range of family recipes. 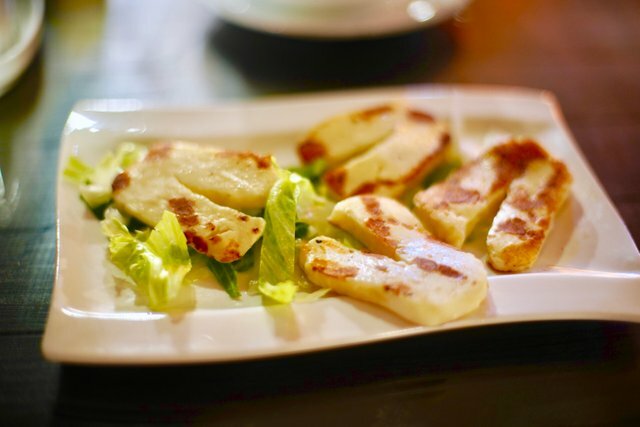 They ensure that they only use the freshest, local ingredients and the menu changes daily based on the base ingredients that are available that day. 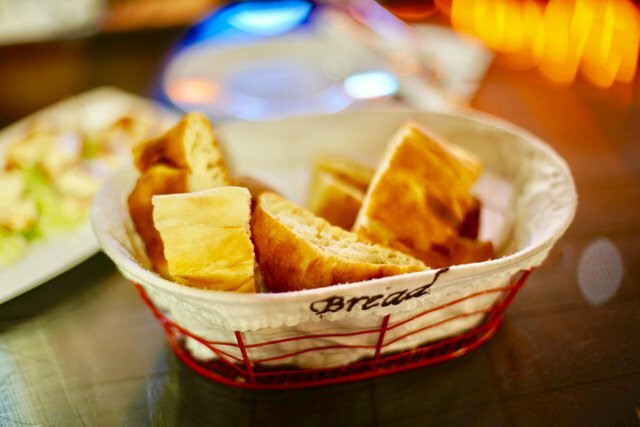 Their skilled chefs make a new menu each day and offer a variety of home-made dishes and desserts. 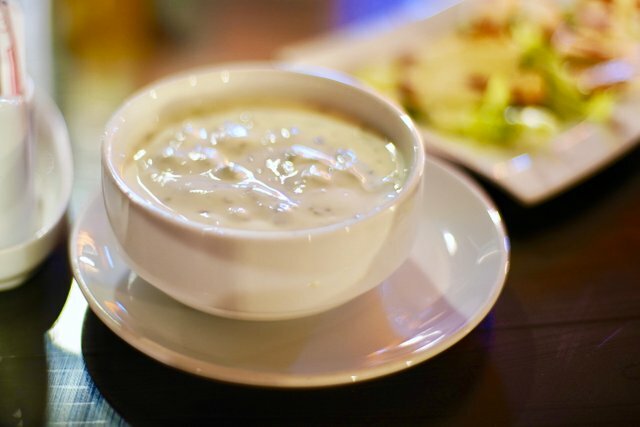 All of the staff were friendly and helpful and really made you feel like you were sitting down for dinner at a friend's house. I felt very welcomed! The variety of food and flavours served here was amazing but what really appealed to me was the colours. 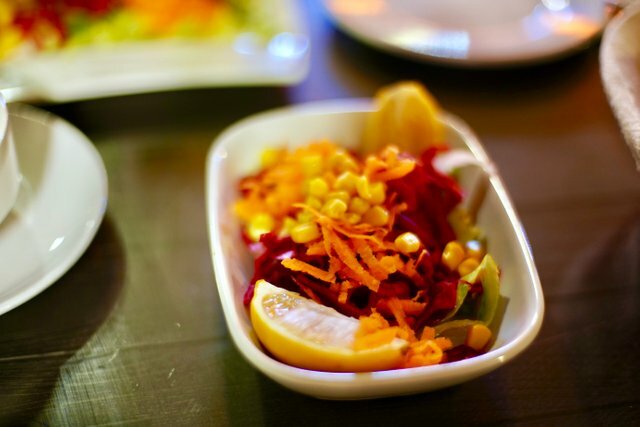 Every dish had bright colours, contrasting and vibrant. They just caught your eyes and made you want to eat them, but at the same time you didn't want to eat them or you'd their simple but beautiful presentation on the plate. Between the colour of the town's lights and those on my plate, I felt like I was in a vibrant fantasy land. The fish course was served on a fish plate! Can you believe this view? 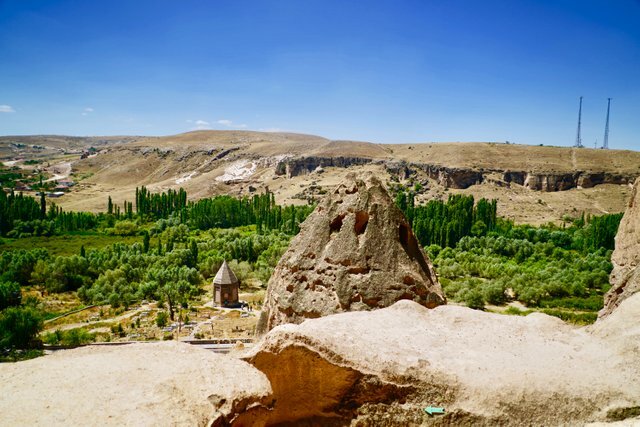 My meal took so long because I couldn't stop staring out at the fairy chimneys of Goreme. And so comes to an end another day of travelling. Thank you for discovering Selime Monastery with me and riding a long on my carriage ride to discover a local horse ranch. I hope you enjoyed it as much as I did, and it was lovely to have you travelling a long with me. 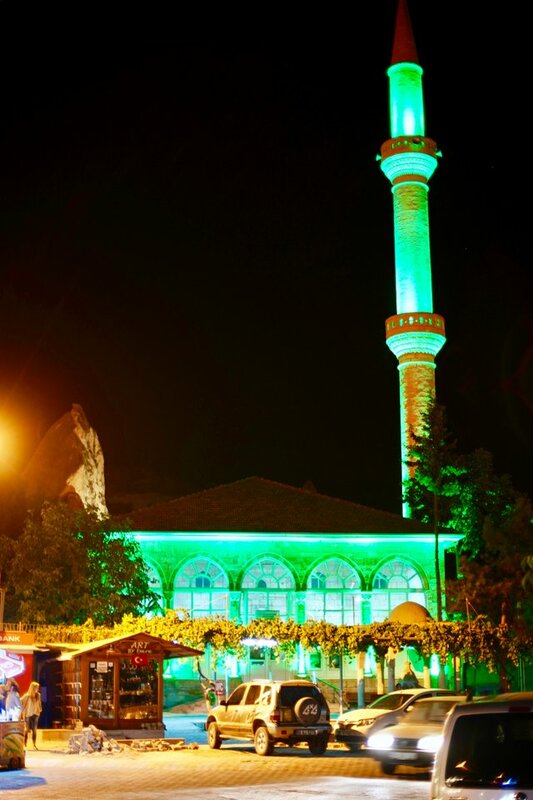 I was most fascinated by the church in Selime because it was just so big. I was trying to imagine someone carving all of that architecture from the stone by hand and I just couldn't understand it. It felt like nature must have somehow carved these shapes from the rock because they were so at home in the landscape and their construction was so sympathetic to the nature of the area. The archways of the doors, windows and decorations were so intricate and their designs have survived thousands of years, almost untouched. Thank you for commenting on my posts. If you liked this one please give it an upvote and make sure you follow me for future blogs as well! To all my friends on Steemit, have a great day and I'll see you next time! The most inspiring thing about steemit is that you feel connected with different part of the world when see someone's post. Dammit, hers are the best blogs anywhere I've ever seen. So much dedication by someone with so much money already. I know many would just take vacations and post little bits here and there, but she still keeps on the quality and immersing her readers with her outstanding writing style. I'm in awe. Hi! @sweetsssj how are you? Can you visit my account wall? You put a surprise there and wish you liked it. Hi everyone! please do help to upvote and resteem this post for my friend's father's heart. 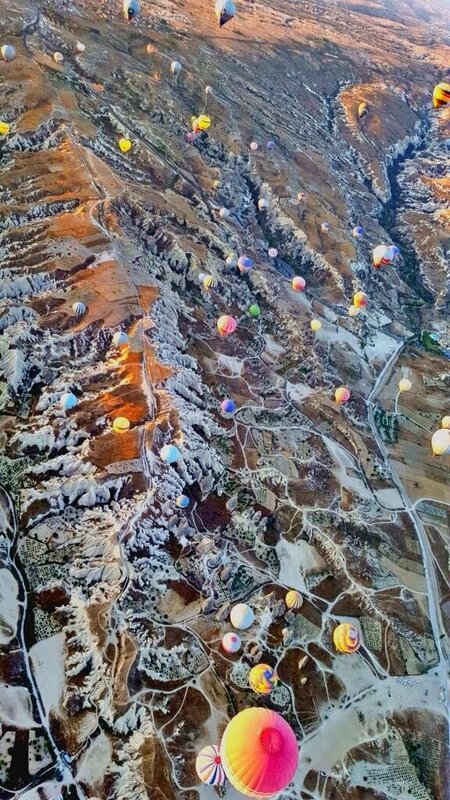 They need our support right now..
Aww.. Cappadocia is one of my favourite place in Turkey. I have been waiting your post. your pictures are so clear and sizes are perfect. and I have never heard about Selime Monastery. It made me interested in. someday I would like to travel around world with camera. Thanks you for sharing your experience. She has a whole team ( family it seems ) that helps her. If you had that you could do it too! What's shelter for them is now a work of art. Though nature eventually takes over, it's remarkable how those man-made caves stood the test of time. I just dropped by to let you know that some of the witnesses you are voting for are inactive and actually steempty is selling his account!. It would be great if you would consider switching an inactive vote to vote for me as as witness - it's important that witnesses are engaged and active here. Thanks! What hinders you to travel? Wish the best for you .. and will be glad to see some of your photos when you travel. Even traveling in another city inside your country could be a refreshment . aww you have such a good way with words, thank you! hey charles1 so great to see you here, alive, and well, and thank you for the comment about the horses, I must say, I never interacted with them this closely before, but they seemed to really like me ! vi1son, it's been such a long time, how are you!? Still waiting for Steemfest to be somewhere accessible! Т_Т You force me to go to China xD. Or move Steemfest to China(or any suggestions). I'm so upset that for a visit to almost any country need to make a visa... Such bureaucracy... Whats wrong with humanity? I love all of your pictures @sweetsssj! Very true @charles. She loves the horses and they love her too. The black one wants to kiss her. Very beautifully picturised with some of the mind blowing picture of caves. I loved these caves. Loop was perfect and you looked pretty as usual. Good job buddy. hi generation! Haha that's a question I've never been asked before.. But given how much I write about Turkey, probably a reasonable one! 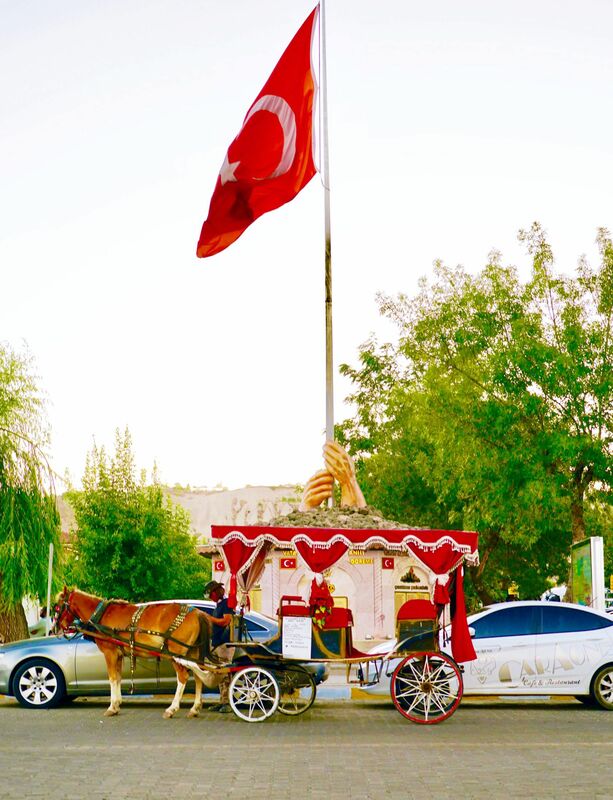 I am actually fully Chinese, I just write about Turkey a lot because it's the place I spent a lot of time at before and I feel like it deserves thorough blogs about it for all the internet to see! Great blog post and photos @sweetsssj. Unfortunately, I am unable to view your DLive video for some reason. Internet can be a pain in China lol. 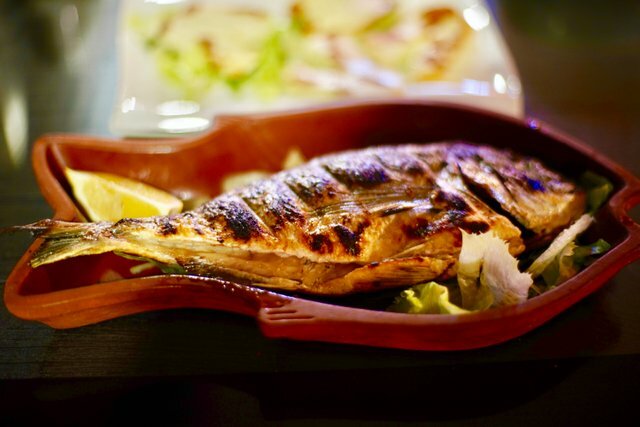 The food you show in Turkey always gets me salivating and eager to visit this country. What program do you use to edit your photos? Do you shoot RAW? Hi kenanqhd, i know the problem since I'm in China too! The VPNs are not so good now.. but usually it works after a while.. I actually use my osmo mobile and my iphone to shoot videos. I haven't got to the point where I'm shooting raw or with some fancy video equipment (yet) but I might look into it! @sweetsssj I am so amazed of what you are sharing on your blog, I like travelling a lot too, and I hope visiting the beautiful places you have visited. By the way, I made a little surprise for you on my blog I hope you like it. So many great pictures and the food looks really good too, wow I really would love to visit this place. definitely put it on your bucket list! An useful knowledge about turkey and something in it, include your performance @sweetsssj. safran, thank you as always! As for your own trip, i'm sure you will do the careful planning and perhaps soak up some of the ideas from my blogs for your own personalised trip. 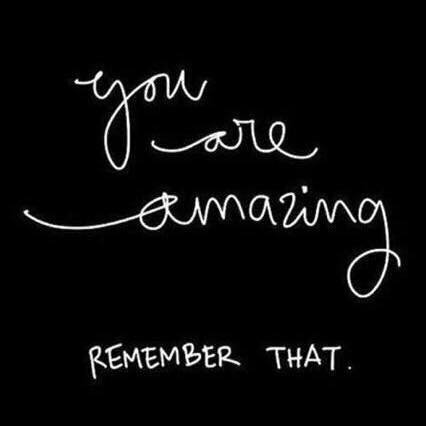 I'm sure you when you end up visiting, it will be every bit amazing as you hoped! This post has received a 2.85 % upvote from @drotto thanks to: @hectorjoachim. hi hector, i will come take a look, thanks for dropping by and leaving a comment, always appreciate your support! Wow, what an amazing trip, @sweetsssj :) The video in the beginning and reading through all this and the pics make it as if being there myself. How awesome! 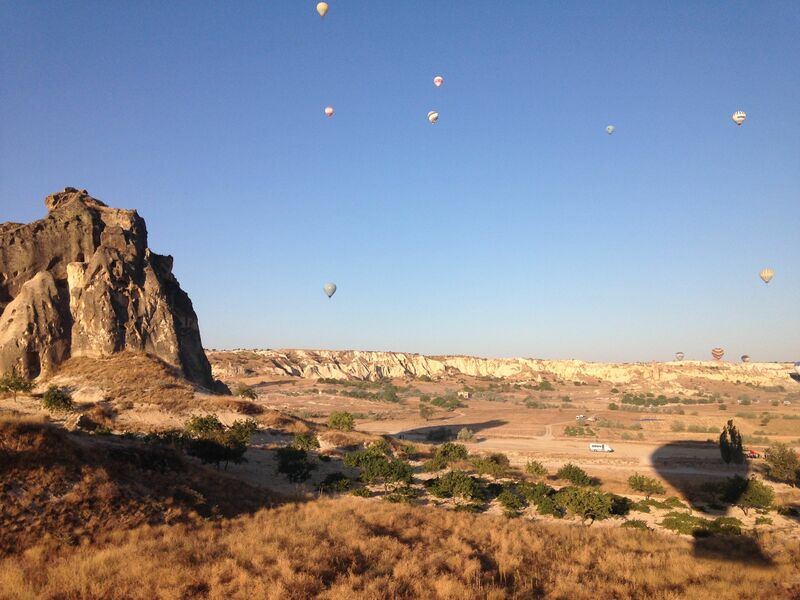 Thanks so much for sharing such an wonderful glimpse into and around Cappadocia. One day I'll definitely have to visit there. you're welcome dear, and thank you for the support! will do saqib, thank you! she : Travel with me. me: Mom says don't travel with strangers. We were there two years ago. Absolutely stunning place, like something out of a movie (Pitch Black, if you want to be sci-fi/horror about it). 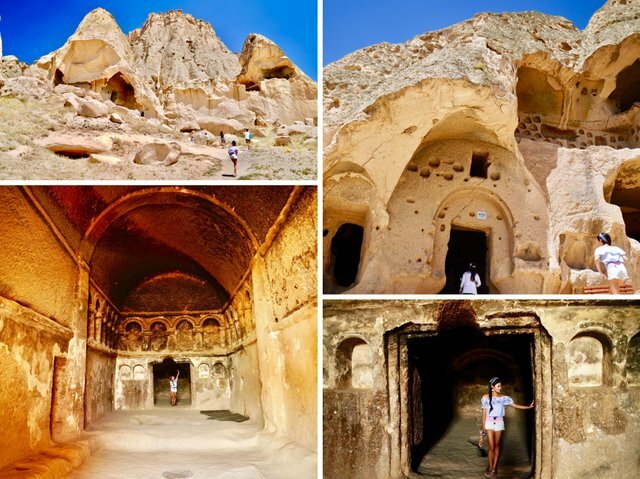 I would recommend doing a bit "off-roading": Selime Monastery can get very busy, whereas there are amazing, seldom-visited cave settlements throughout the region, particularly around Urgup and (my favourite), Mustafapaşa. Good hiking shoes are a must though! 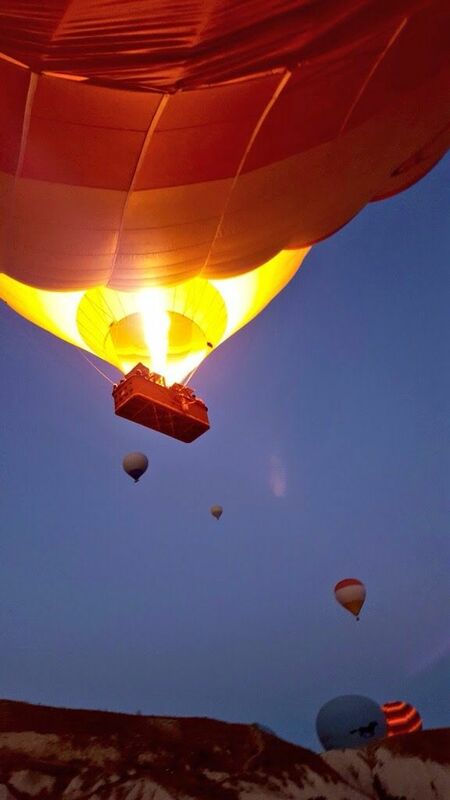 As is the hot air ballooning. Not sure why all the pictures didn't upload first time. Here are a couple more from balloons. Book to go early in your holiday -- they don't always fly if the wind is strong or weather grey, but they will re-book you for the next day and the next until you get up, up and away! the world certainly has abundant beauty, it will be challenge to try seek it all out in a lifetime, but i'm up for a challenge! Wow your post makes me want to travel there! The pictures you took looks amazing! A motivation to travel there! hopefully you'll get the opportunity very soon! Very nice post and great article..
wowwww, what a beautiful place. I wish to go there someday as I do travel blogs to :) you are such an inspiration. hi creslyn, looking forward to seeing your blogs! Amazing structures and photos! What kind of camera do you use? you make everything seem the like best place on earth to visit! thanks for sharing. fantastic ! Las fotos estan bellisimas, el post te quedo buenisimo, te felicito que sigas cosechando mucho exito, que Dios te bendiga, cuidate cariños y besos. te sigo, votacion positiva y reestem. 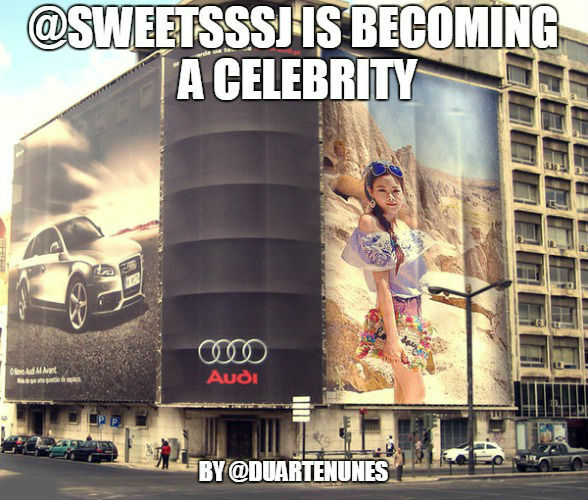 Thanks for sharing @sweetsssj! Now it's time for me to save money so I can visit Turkey also haha will definitely go to the travel destinations you have gone too! 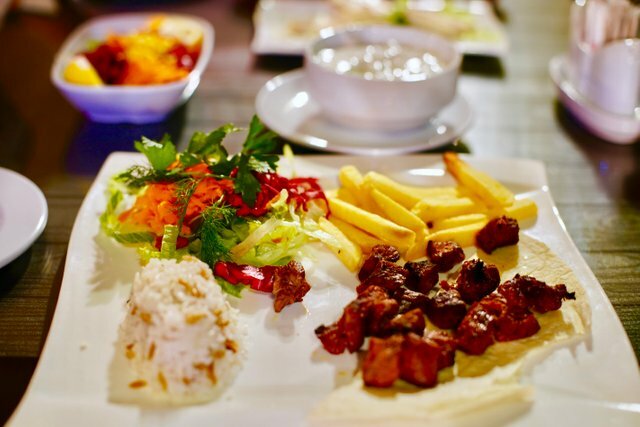 Turkey is definitely a place worth visiting, and it's not too expensive either! Welcome to Turkey dear ;) You mentioned before that you will be coming to that place. I hope you like your journey. Did you leave Turkey? I visited this place when I was student in uni. I was near to that area. But I am planning to go again..
Hi dear, I've actually left Turkey for a while, but i'm still writing about it as there is quite a lot of stories to tell! I think you will see things differently after going back, certainly some of the biggest changes I experienced in my life were when I left university.. So finally you posted the next adventurous posts of your journey and iam really happy that even with a very schedule you still take out some time for sharing these beautiful places with us because for many of us, traveling to a lot of places like you is not possible but by Reading your posts i always feel like i was also there with you and enjoy the traveling experience by your posts,Thanks a lot for this. And you are looking like a princess in that horse carriage 😃😃 and that horse ranch is also very beautiful with a lot of friendly horses. The View point restaurant is also a great restaurant because the food looking very beautiful and tasty and they also justify their Restaurant's name because from there we can see whole beautiful fairy chimneys and iam sure that would be a magical experience. hi shiva hows it going?? Lots to be marvelled at in this post but perhaps my favourite would be the horses at the ranch. It's not often I get to interact with them that closely, but i'm glad that I did! The restaurant was also a beautiful culmination of a beautiful day, seeing all of the natural geography from a high vantage point was a highlight for sure! Iam fine dear and where are you busy these days?? Hi @sweetsssj, the cave structure looks pretty amazing. Interestingly I have seen similar structure in Italy Orvieto, a city that was build on top of a piece of rocks, where they have an extensive underground system that is similar to the cave dwellings here, and have holes for pigeons exactly like the ones you have shown here. I think they were make by the Etruscan who started living in Tuscany about 800 BC. I wonder if there is any relation to the Turkish people. hi stabilowl! THat's interesting information, thank you for that, I will have to go check that out sometime! I think a lot of it overlaps since the Romans ruled over swaths of Turkey. Yes, a very interesting country with a combination of cultures from Europe and Asia! incredible beauty of this nature with all its facilities, thank you already share @sweetsssj there is the presence of a very beautiful girl, adding everything beautiful. thanks zamzamiali! I'm glad you pointed out the historical value, I totally agree! I like travel and adventure that has historical value like this, at least we can bring home something valuable to others and make a post about it. Thank you for being able to reply to my comment @sweetsssj. De verdad encantado de haber disfrutado de tu viaje a Gorene y el Monasterio de Selime. It's so beautiful,very interesting!thank you!! Aankho mein Teri ajab si ajab si adayein hai...... This is a wonderful place and...I must say . Wow you look beautiful..! really? I haven't actually seen that before.. It's nice to see your post again. And I'll be there to upvote and comment although my power is weak. Like usual, amazing Photos with a girl in it. a photo is not perfect if there is no beautiful girl like @sweetsssj. Thanks for sharing your travel, your post is meaningful for me because it gives me lot of informations about culture interesting places in some country. @sweetsssj looking sweet as always. Nice travel photos... I know you had fun. thanks peter, you got that right! Upvote this comment to support @duplibot and help reduce spam and superfluous comments. wow very amazing this post and so beautiful location . one of the best locations ever! Well... that's real beautiful place. This is entrapping and catchy. Nice views, nice mountains. You look good too. thanks, sometimes the pictures can do all the talking! 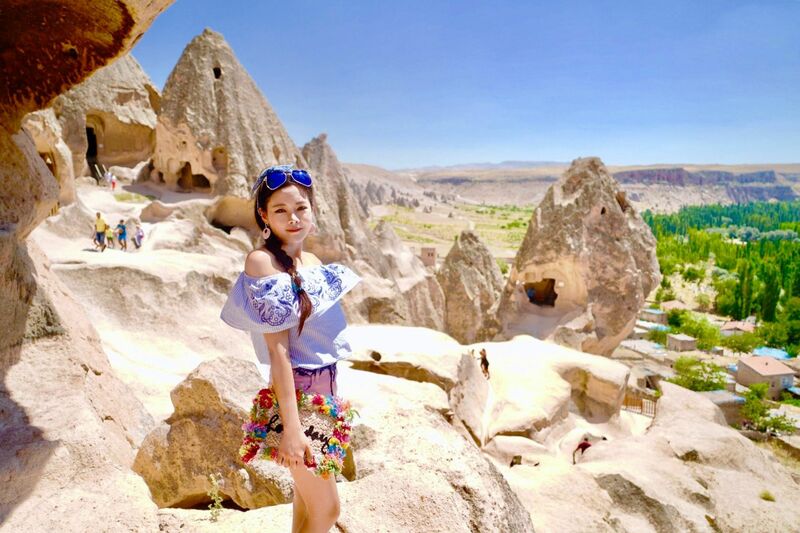 I've been to Cappadocia myself in 2013/14 when I lived in Istanbul and I absolutely loved it. It seems like we visited the same horse ranch! Have you been to Pamukkale by any chance? Unfortunately I ran out of time and didn't get to go there but some friends did and it looked magnificent! it looks we did visit the same ranch! The guy was sooo nice wasn't he!? I actually visited Pamukkale a few weeks before this, if you look back through my blog you'll find my posts about it! Cool, will check out your posts about Pamukkale, thanks! Hey Sandia, nice to see another Dlive post from you. Videos can really bring an experience to life. Looks like you had a fun time with Bill. You must have felt honoured to meet his family. Horses are such amazing animals. I noticed from your posts that the weather is always very bright. You do well to avoid getting sun burnt 😁. I hope to talk to you soon, keep living life to its fullest. hey wayne, glad to see you are a live and well. I really need to spend some more time with horses, they surprised me with their intelligence, responding to everything I said, even my body language, in another life, I would probably have myself a ranch too. Oh, I don't stay out in the sun the whole time of course.. I do hide !